We celebrated our nation, vocations, families and our community this week. 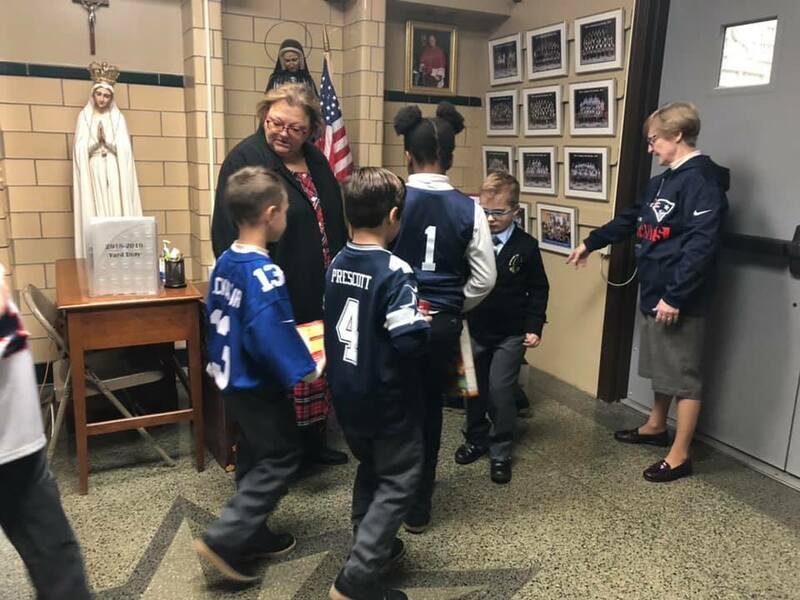 Writing letters or cards to those who serve our country, and to the sisters and priests who are a part of our ASD community was part of our celebration. We had a “SOUPER BOWL OF CARING” where students were asked to bring in canned soup and/or cereal to be donated to a Staten Island food pantry. Students also were able to wear a “team” shirt of their choice!